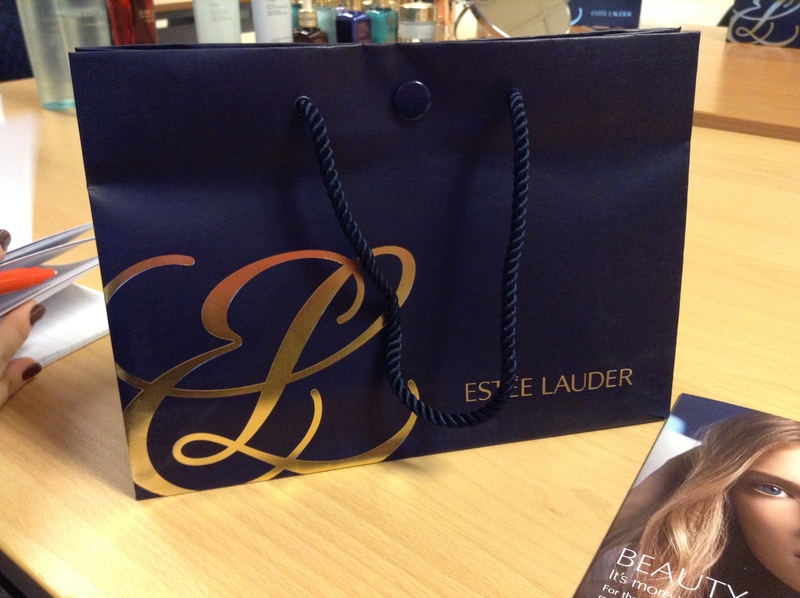 For those of you who’ve been keeping up to date with my blog, I was recently invited to an Estée Lauder bloggers event and here, we were lucky enough to be given a bag of samples. It’s fair to say, I was in my element. 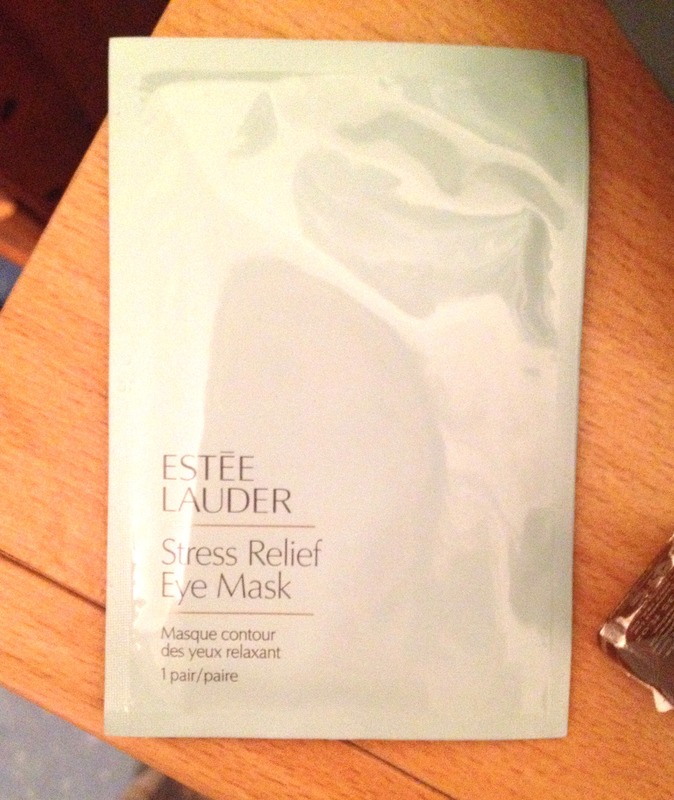 In this box of goodies, was the Estée Lauder Stress Relief Eye Mask. Being in my third year of University, I am very stressed! So I thought this product may be a little Godsend for me. 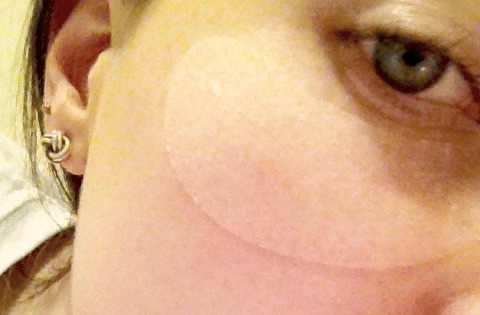 To use, you just open the packet, peel the two eye masks apart and place just in your under eye area. They’re very simple to use and that’s definitely a pro about the product. They’re meant to reduce puffiness and signs of fatigue. I’m not going to lie, especially after a long week of uni, I definitely need this. We were instructed to leave the product on for ten minutes for best results. So as part of my relaxing Sunday evening routine, I thought I’d give them a go while I had spare time on my hands. When I opened the pack, these masks felt extremely moist and smelt very fresh which I really loved. But after using this product, I don’t think I was impressed as I should have been (especially because if you buy these they will set you back £27.00!!). Although it did help my face to feel a little more refreshed, I don’t really think it helped to make me look less tired. I would probably buy this product if it was a little cheaper, just for the refreshing feeling that I got after using it. But I don’t actually think it’s effective enough to justify purchasing this one, sorry Estée Lauder! For reducing puffiness, I’d rather stick to my Benefit It’s Potent! eye cream. I will continue to rave about this for a very long time! But I’ll be sure to post about my other Estée Lauder goodies very soon! What products have you guys found that you want to rave about?